For the iPhone®/iPod touch® and iPad®, we have an app that you at any time, the latest maps, menus, events etc shows.. The new second version is a universal app, i.e. on the large iPad® is not the small screen of the iPhone® simulation, but is a standalone version that uses the whole screen. Besides the obvious information about our current offers, you can learn when cooking classes are planned, what's new on Facebook and Twitter, how to find us and navigate your way to us. 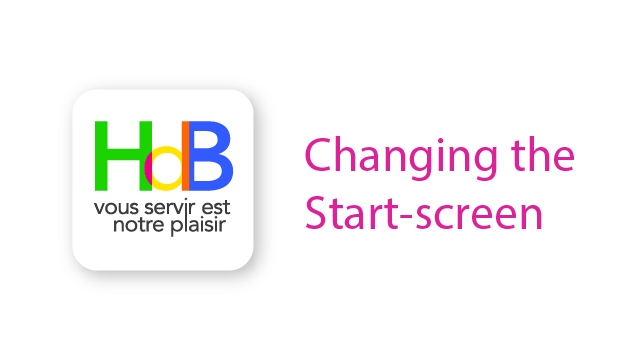 Another new feature is the ability to determine the language and start-up screen itself. Especially for our regular guests it's a nice way to equal e.g. to display at start-up of our app's menu. You can check the app for free from the App Store®. The app can be found under the name "HdB". If you like the app, we would like appreciate a review in the App Store®. Please replace the "/ät/" in the address bar by the "@". We have tried to make the whole app without buttons. At least one should not waste space on the smaller iPhone 4 / 4S whole page navigation. Therefore, you will find the top left a blue icon. Tap it, the current view is shifted to the right and you have that we have direct access to all the information you with our app. Tap on a blue entry, and immediately the corresponding content is displayed. You can also open this navigation bar where you simply push the current content to the right. So move your finger on the screen and the fingers on the display to the right. The displayed data is loaded each time our app from our server. To keep you supplied with the current data, since none are stored and may be outdated. The amount of data that is retrieved each is very small, so you need not worry. Is there a problem with the connection, so you receive an error message to be displayed. If you are in the navigation bar almost scroll down to the "validity of the data", then you'll see when the respective data were valid. Should it have given connection problems, you can also trigger a new charge cycle here, for example because you again reception, or the appropriate changes have been made in their system settings. Our app can be displayed in English, German, French and English. If your device is set to one of these languages, so the appropriate language is automatically displayed. 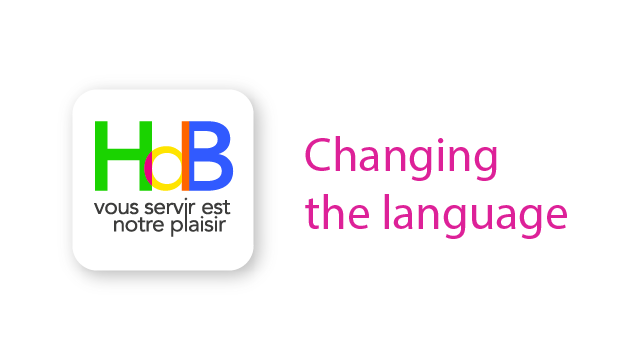 Have you set a different language, the French language is used in the app. We are of the opinion that it is not very user friendly, to tell you in which of the available languages have to read. Here we show you a few pictures of how you can quickly and easily set the language and start-up screen itself. In the home, you can choose which page should be displayed first when starting our app. Of course, all pages are accessible as usual. It's all about the start. This is especially interesting for our regular guests, perhaps the most common out the menu or wine list and not every time only want to navigate there. Our app loads the current reviews directly to the call of the corresponding view. As you may log in a foreign network can be caused by large amounts of data costs. 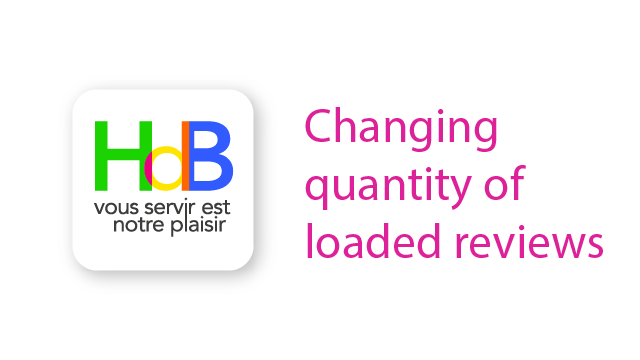 We also think that it makes little sense to reviews that are longer back unnecessarily to load. But we do not want to deprive them of course. The basic setting is set to the latest 20 Reviews. Our app has a widget. This can be shown in the message view. It is designed to give you a quick overview of important news. Normally here the latest weekly menu is displayed, but when changing the card or other interesting news they are displayed. Since just for the smaller iPhone space is limited, may not be the entire contents can be viewed. If you, however, simply tap on the content in the widget open the app with the corresponding view and you can read the entire contents. For the Apple TV 4 ® we have an app that allows you at any time to read our current cards, menus, events etc.. Besides the obvious information about our current offers, you can find out if and when cooking courses are planned and can comfortably read the reviews of our customers. You can download the app for free from the App-Store®. You find the app by searching for "HdB-TV". If you like the app or have criticism we'd appreciate to have a review in the App-Store®. Replace the "/ ät /" in the address bar by the "@".